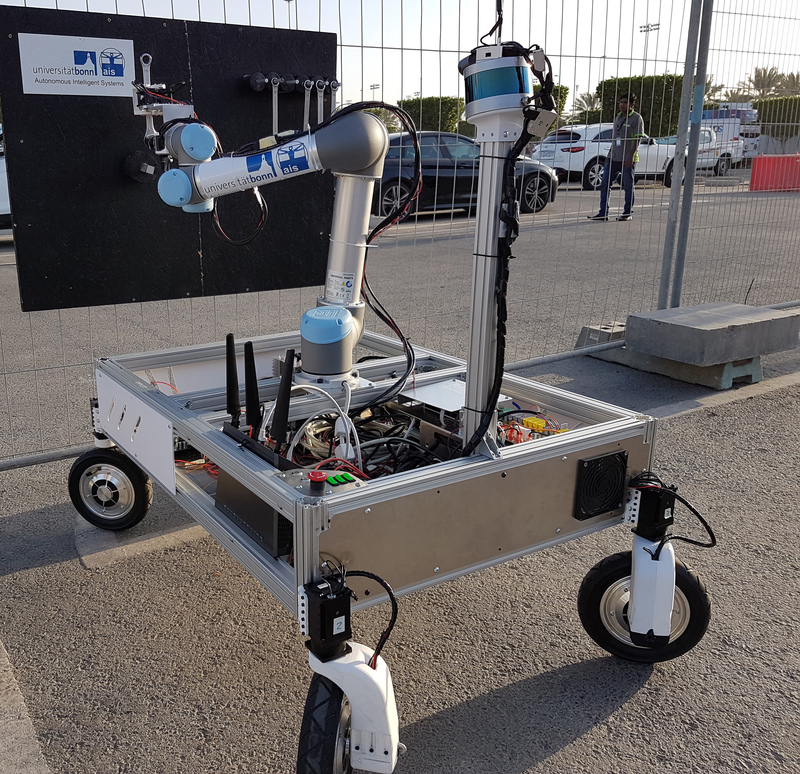 Our team NimbRo won the Grand Challenge in the Mohamed Bin Zayed International Robotics Challenge (MBZIRC), which was organized by Khalifa University and took place on March 16–18, 2017 at the Yas Marina Circuit in Abu Dhabi. 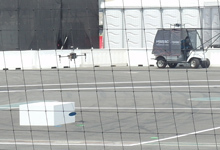 For Challenge 1, we equipped a small MAV with cameras and onboard computing to find a moving vehicle and to land quickly on it. 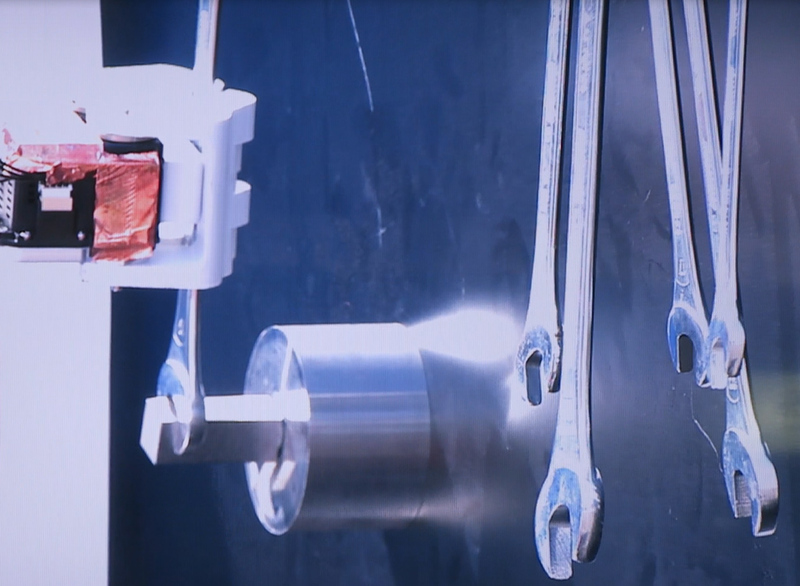 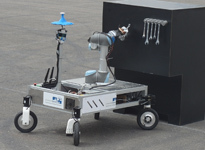 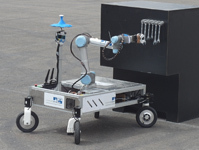 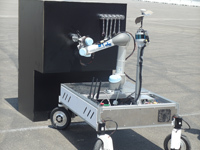 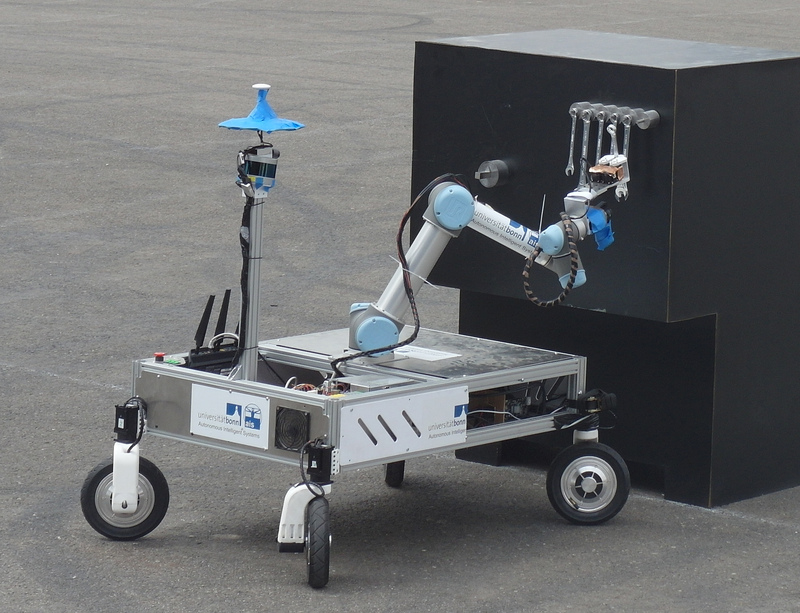 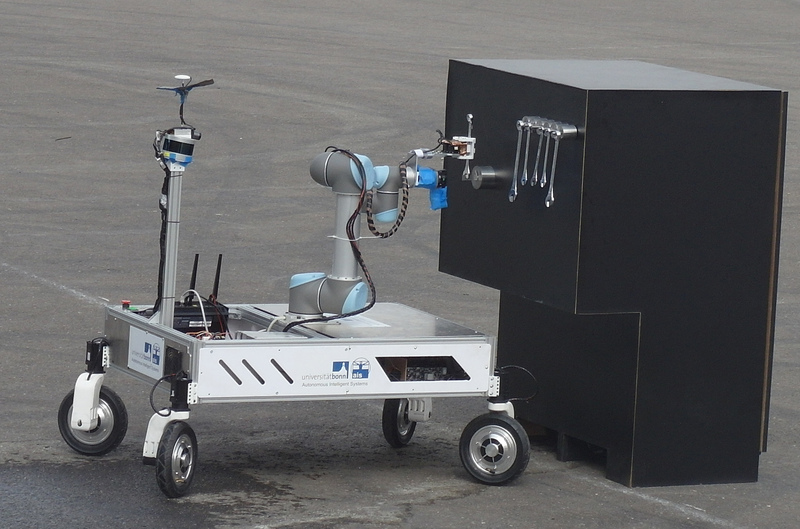 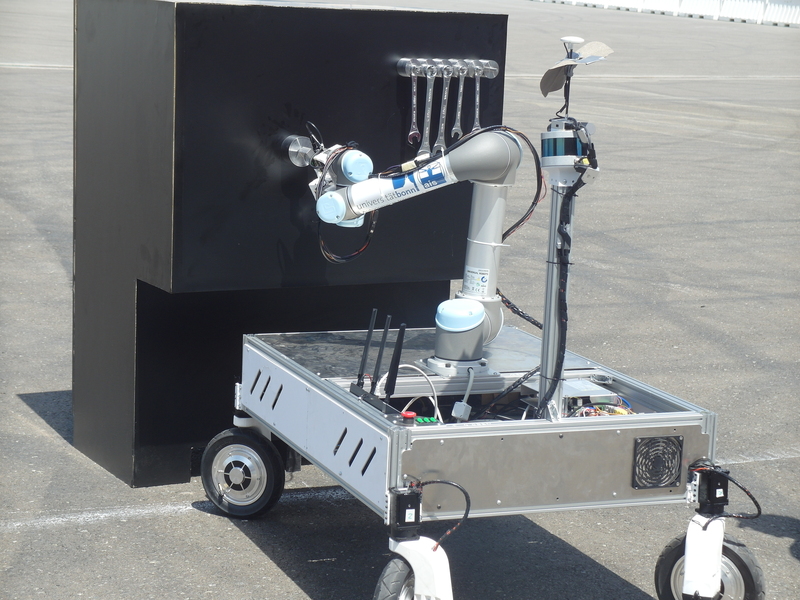 For Challenge 2, we developed a mobile manipulation robot, equipped with laser scanner and cameras to quickly find and approach a panel, recognize and grasp the needed wrench, and turn a valve stem with it. 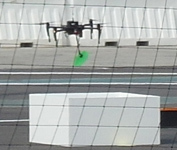 For Challenge 3, we equipped MAVs with color camera and magnetic gripper to collect colored objects and to transport them to a drop box. 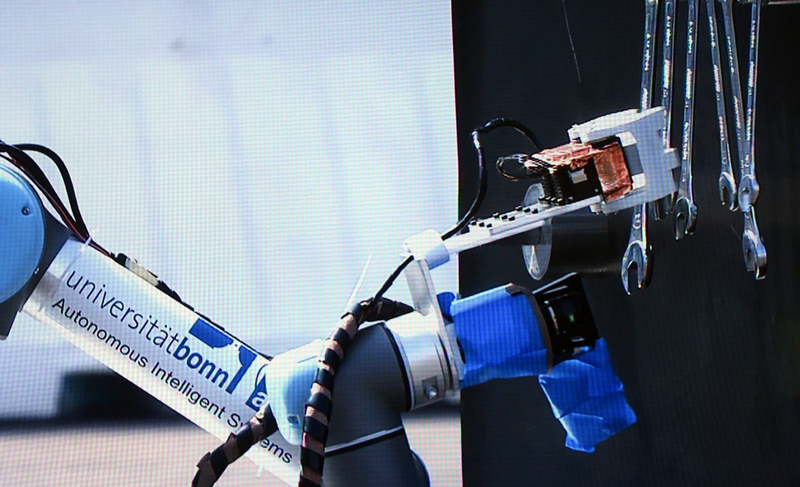 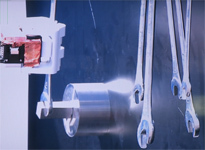 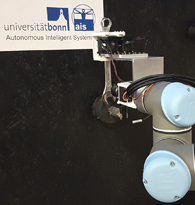 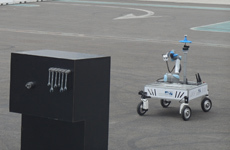 In Challenge 4, the robots performed all tasks simultaneously. 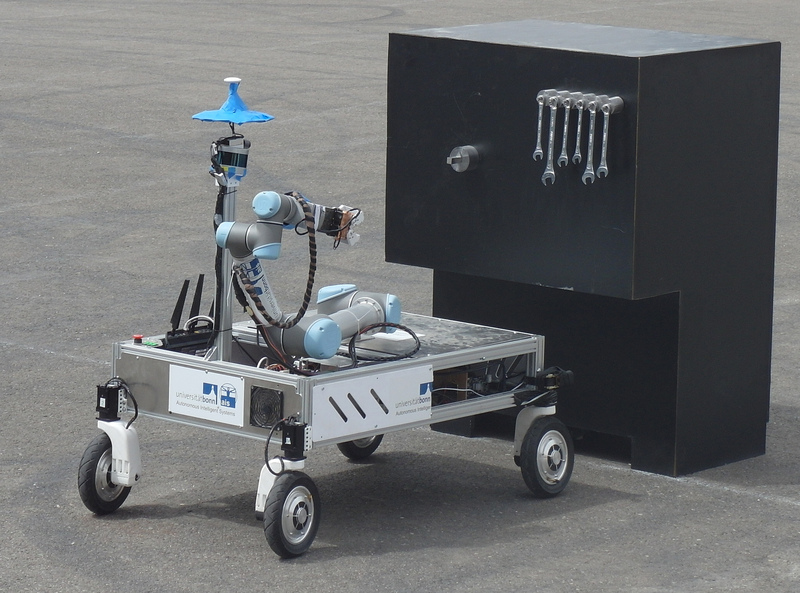 has been accepted for the Journal of Field Robotics (JFR) 36(1):204-229, Wiley, January 2019.
has been accepted for the Journal of Field Robotics (JFR) 36(1):170-182, Wiley, January 2018. 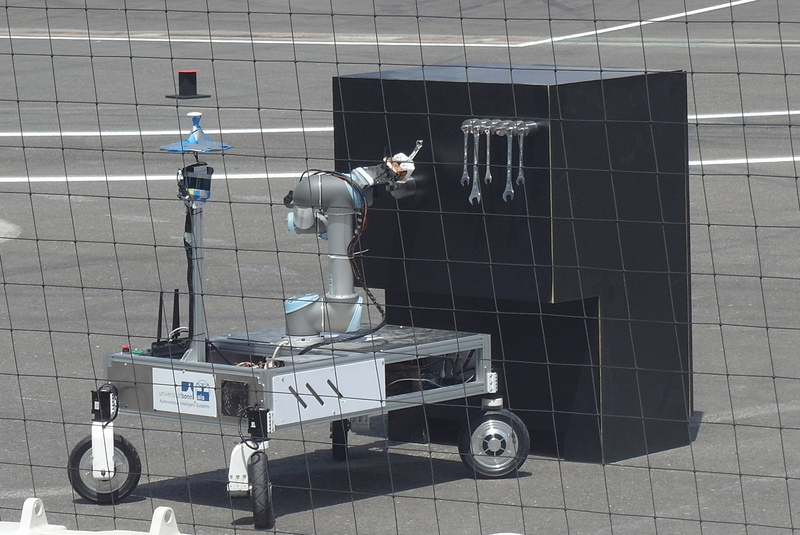 In the Grand Challenge final, our robots demonstrated all three challenge tasks simultaneously in the same arena. 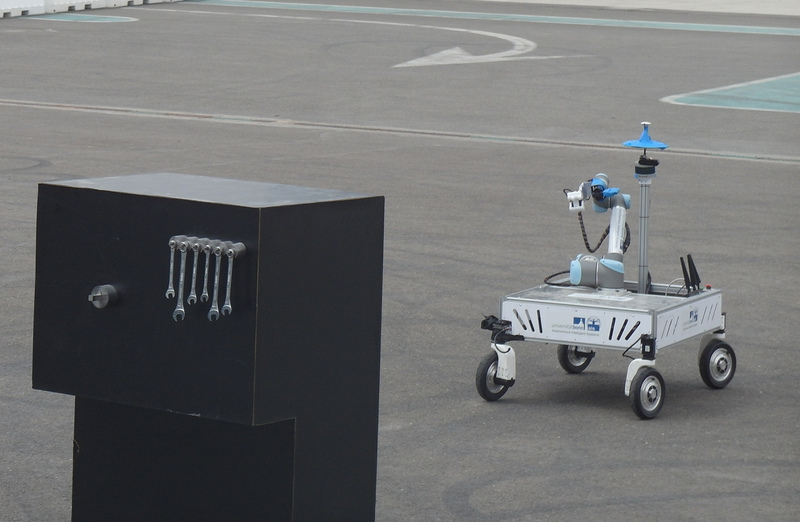 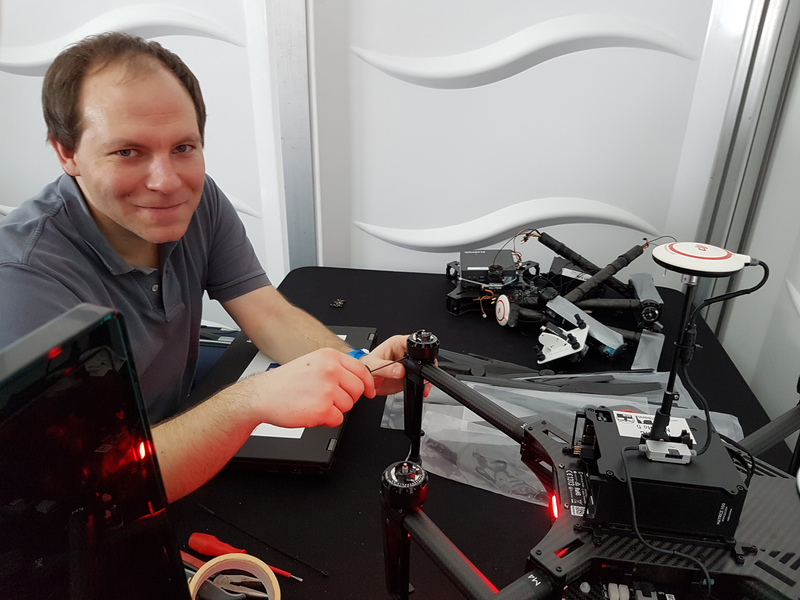 Our ground robot quickly approached the panel and grasped the correct wrench, while the landing MAV detected the moving landing platform and landed smoothly in under one minute. 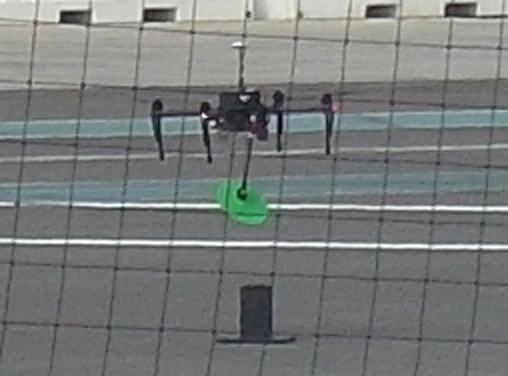 In the next seconds, the ground robot sucessfully inserted the wrench onto the valve stem and completed the Challenge 2 task by turning it 360°. 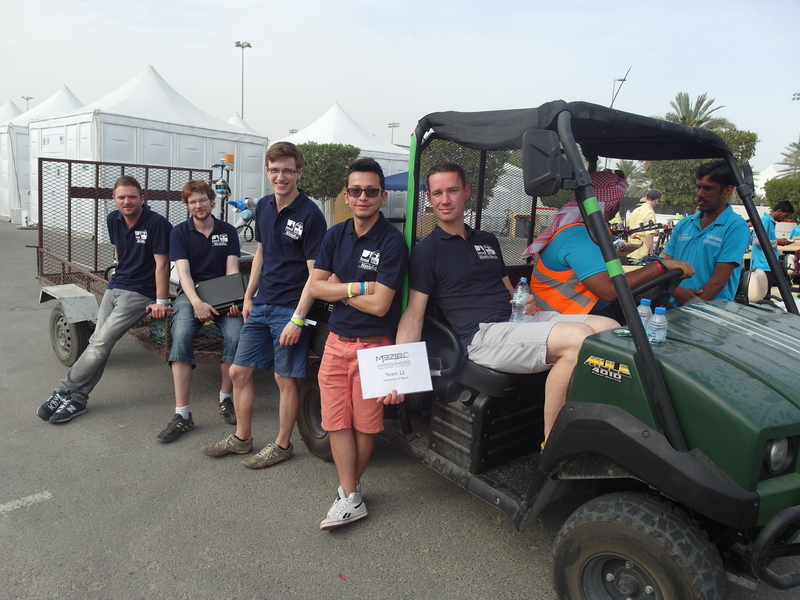 The remaining challenge time was used to pick up objects and deliver team to a drop zone. 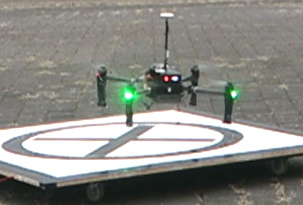 Two picking MAVs performed this Challenge 3 task. 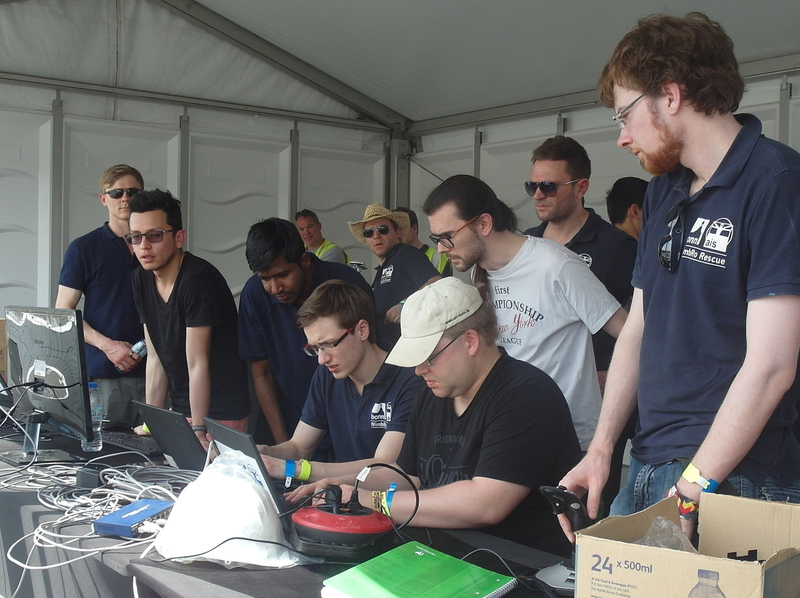 Our Challenge 2 performance was by far the fastest of all teams (1 minute 23 seconds), Challenge 1 (landing) was the second fastest (42 seconds), and the 10,5 points for the collected objects in Challenge 3 were the second highest. Overall, this resulted in a mean rank of 1.7 for NimbRo, clearly better than ETH Zurich - Electronic Treasure Hunters (mean rank 3.0) and Czech Technical University in Prague, University of Pennsylvania, University of Lincoln, University of Padua (mean rank 3.3). 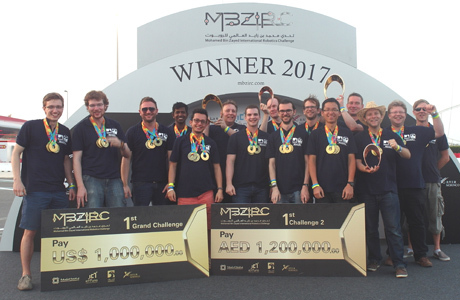 The price money for winning the MBZIRC Grand Challenge was US$ 1 Million. 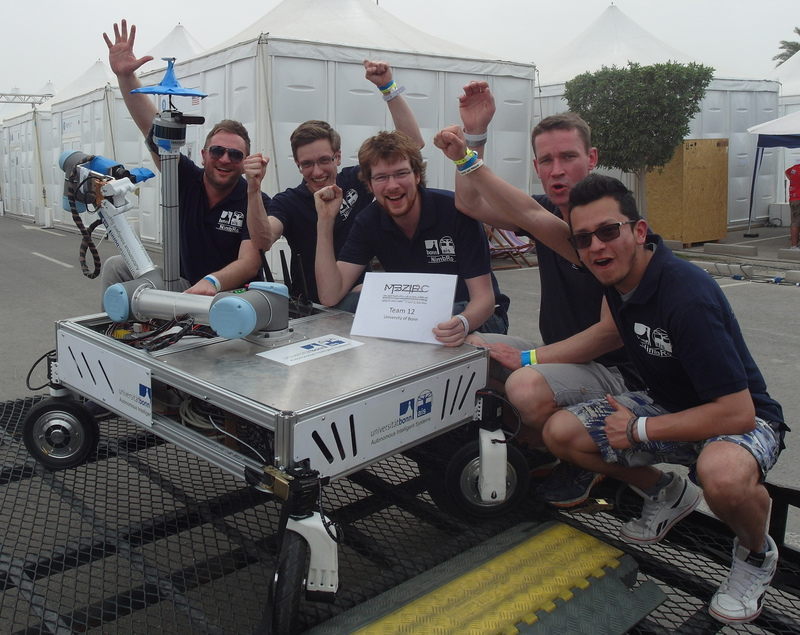 In addition, our team also won Challenge 2 (price money US$ 350.000) and came in third in Challenges 1 and 3. 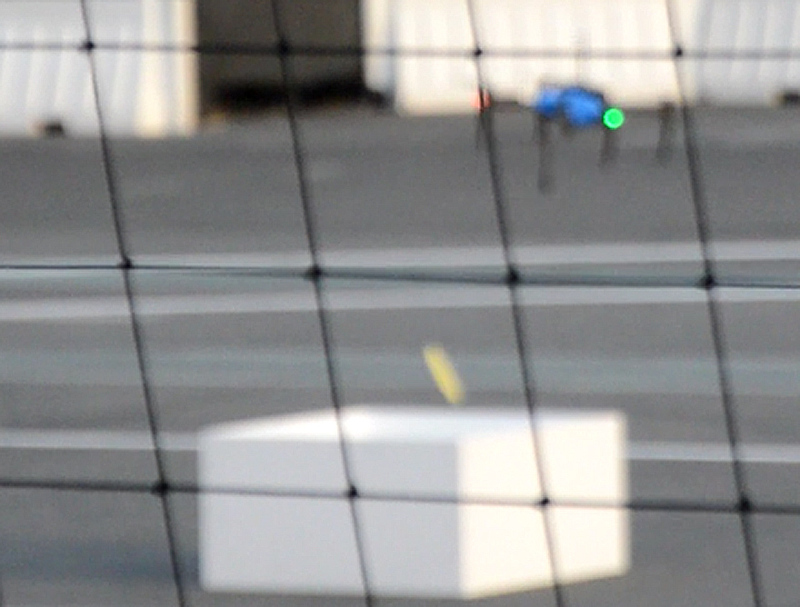 In our first Challenge 3 run, a MAV autonomously picked up an object from a moving base and delivered it to a drop box. 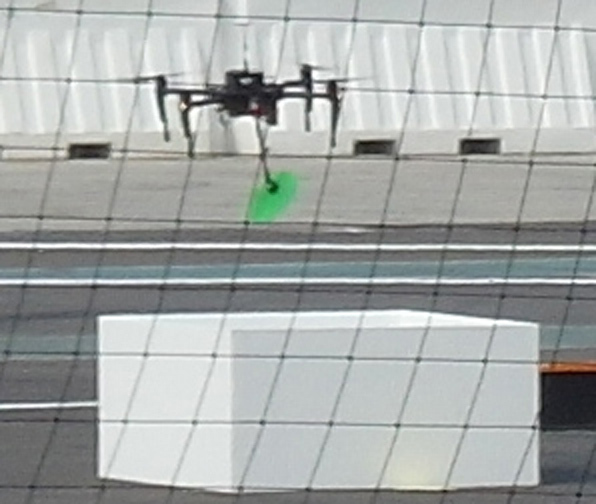 A second object was also picked, but not delivered. In the second Challenge 1 run, we could not improve our score. 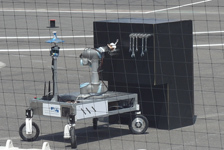 In the second Challenge 2 run, our robot solved the task of approaching a panel, grasping a wrench, and turning a valve stem in only one minute and 24 seconds. That was perfect! 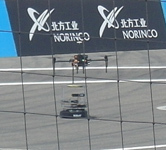 Today was the first of three competition days. 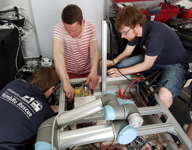 In the first Challenge 2 run, our team needed two resets, but then the robot solved the task of approaching the panel, grasping the wrench, and turning the valve stem quickly. 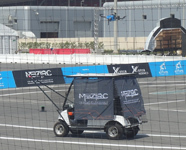 In the first Challenge 1 run, the MAV needed one restart, but then quickly detected the moving vehicle and landed smoothly on it. 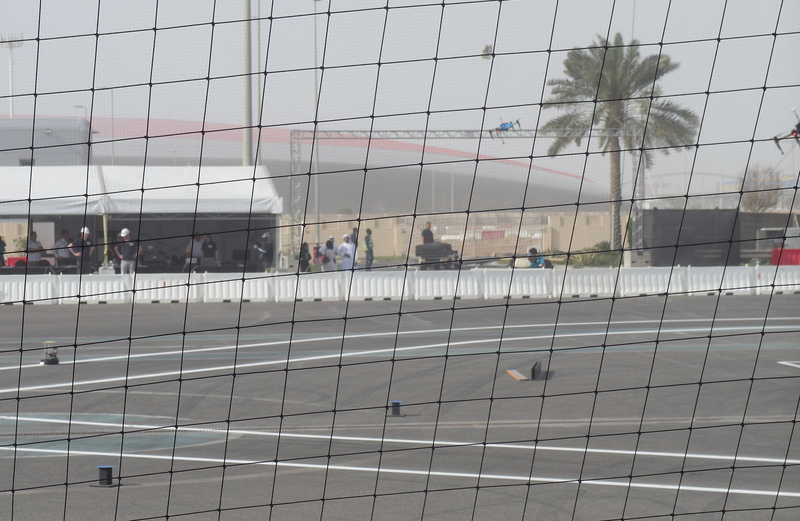 Our slot for Challenge 3 was postponed due to too strong winds. 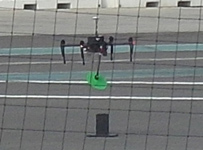 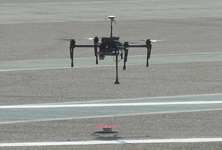 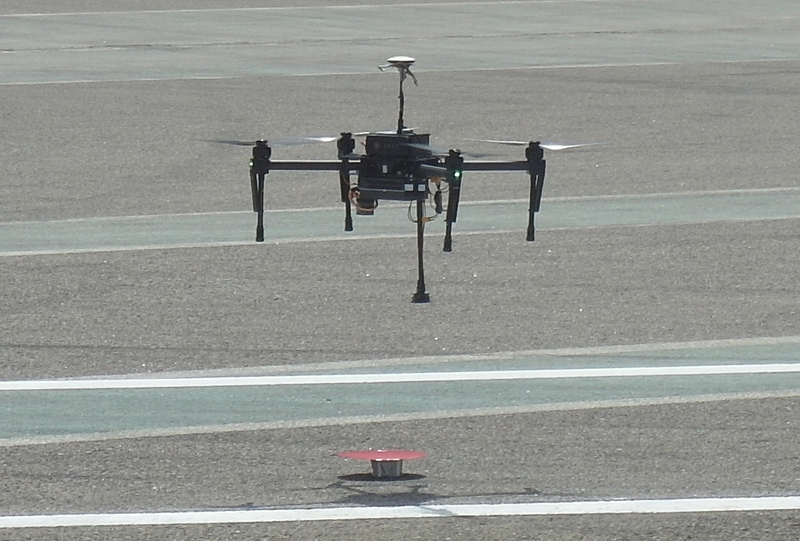 We used the second rehearsal day to test autonomous picking up and dropping of objects (Challenge 3) and autonomous approach of the landing pattern (Challenge 1). In Challenge 2, we optimized performing the task of approaching the panel, grasping the wrench, and turning the valve stem autonomously. 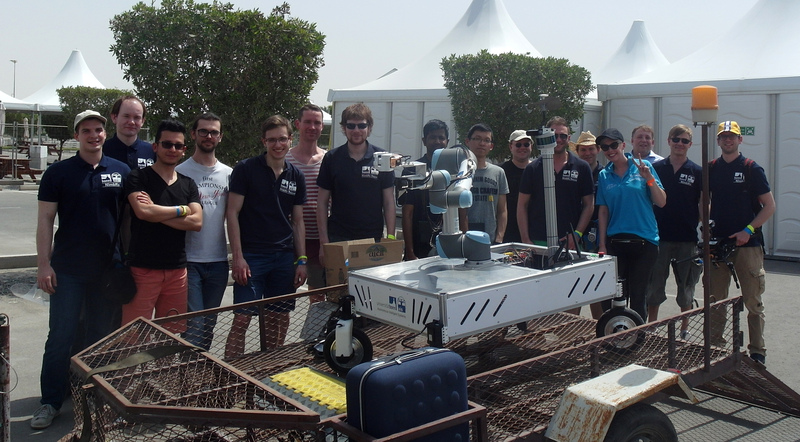 At the first rehearsal day, our ground robot approached for the first time the official panel. 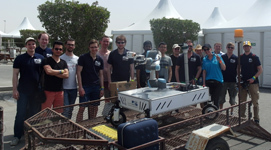 The panel looked slightly different from expected but the robot still managed to turn the valve stem with the wrench. 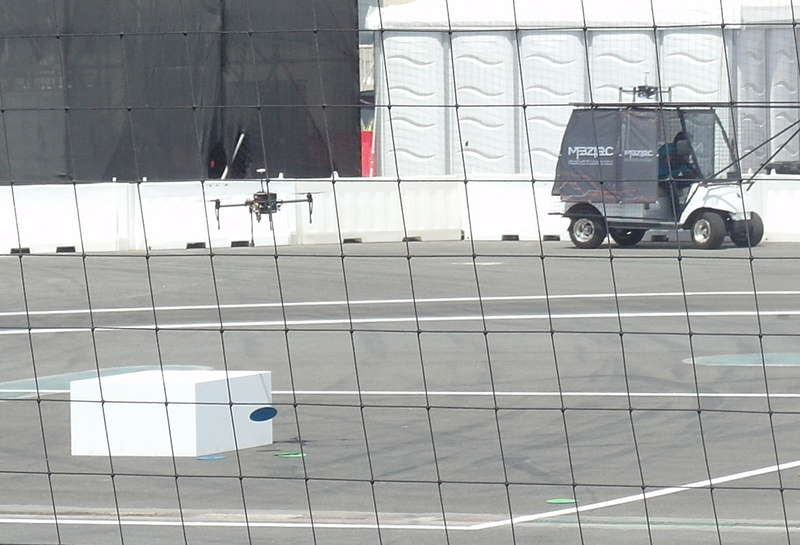 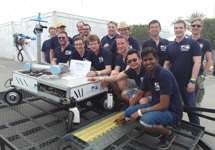 Our MAV team could test for the first time with the objects to be transported in the arena. 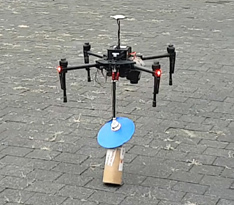 The small objects were heavier than expected, but the MAV gripper worked well. Our team and the robots were for the first time allowed to enter the arena. 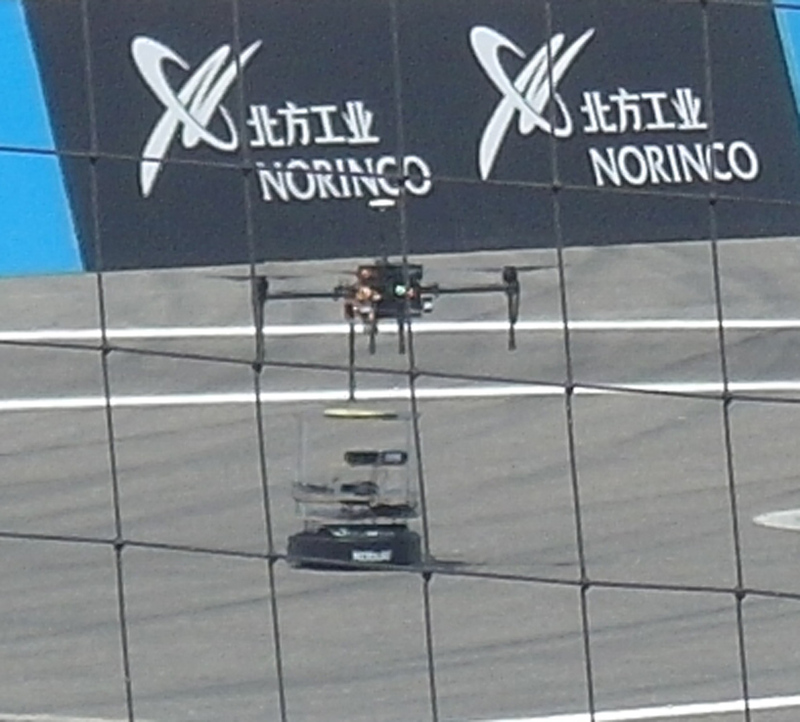 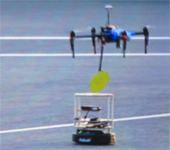 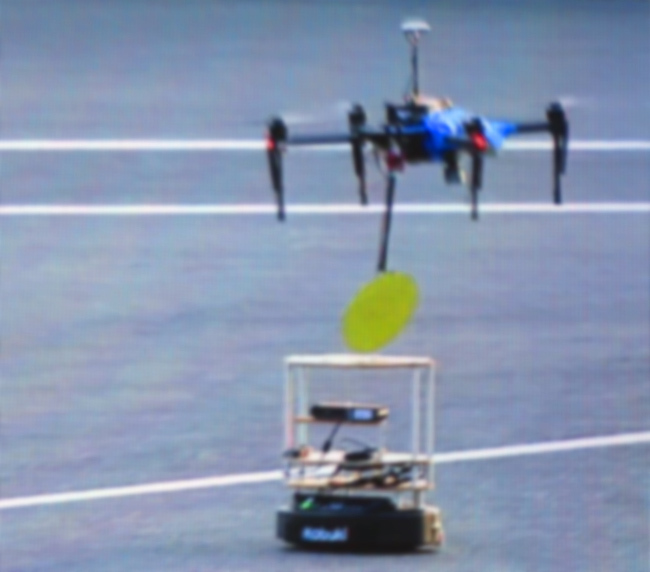 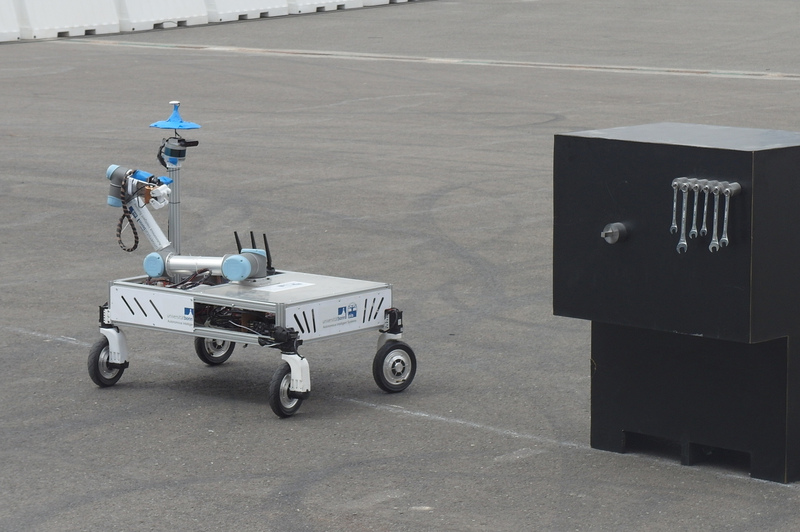 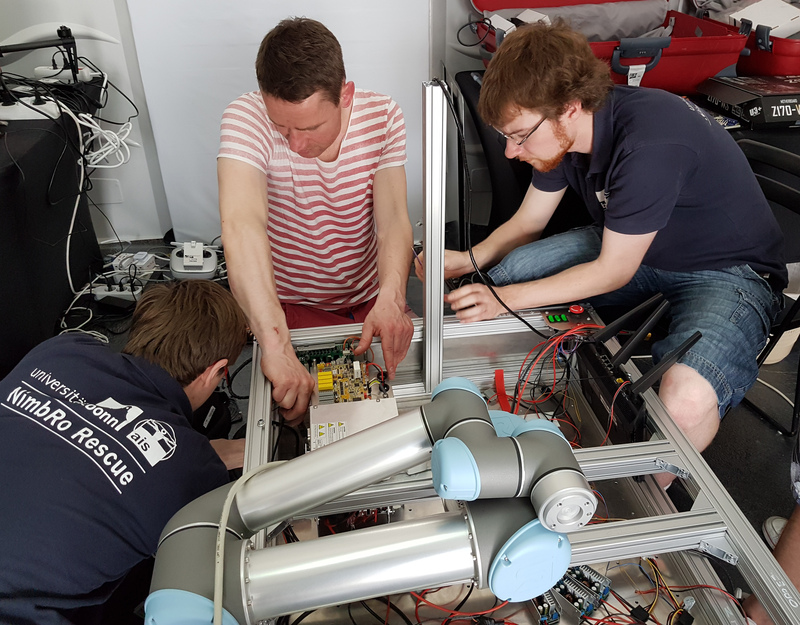 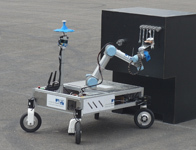 The robots were checked for rules compliance and the field network was tested. 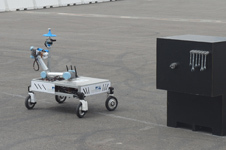 We performed intitial driving tests with the ground robot and first flight tests with the MAVs. 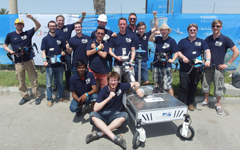 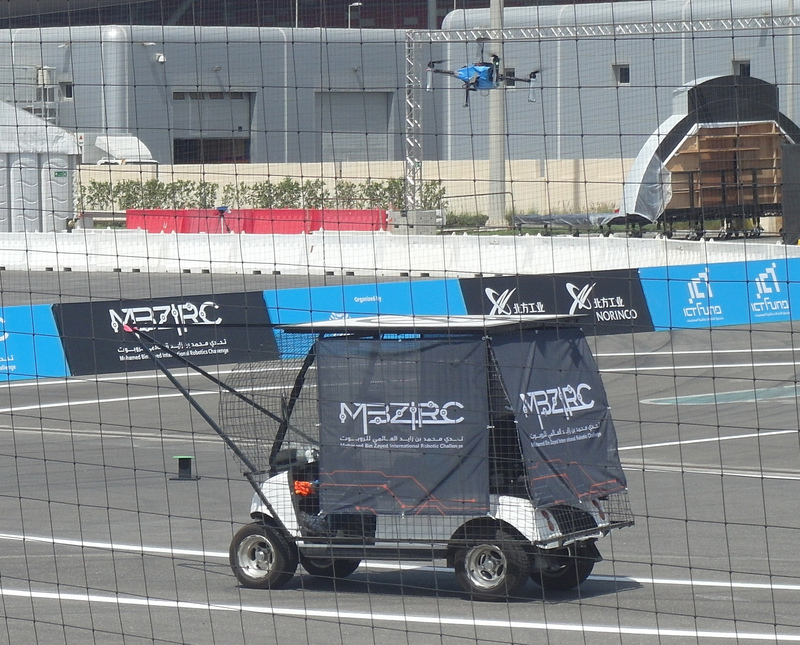 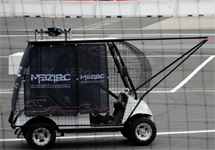 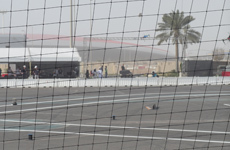 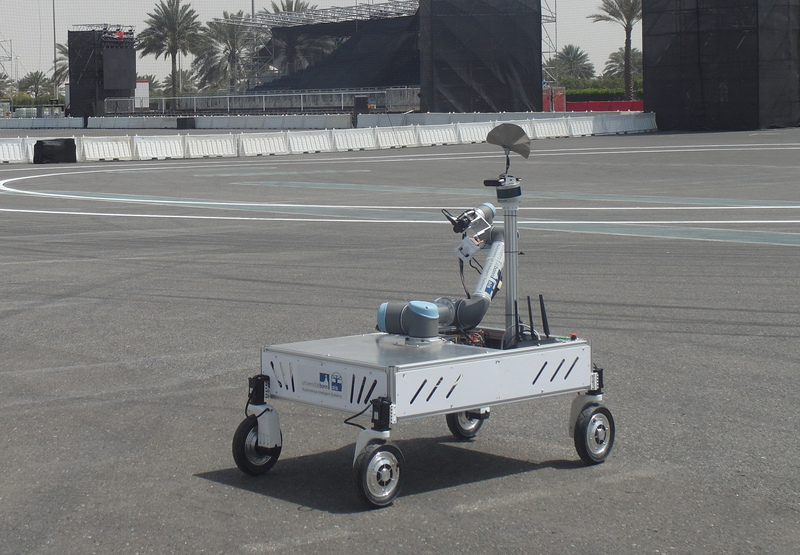 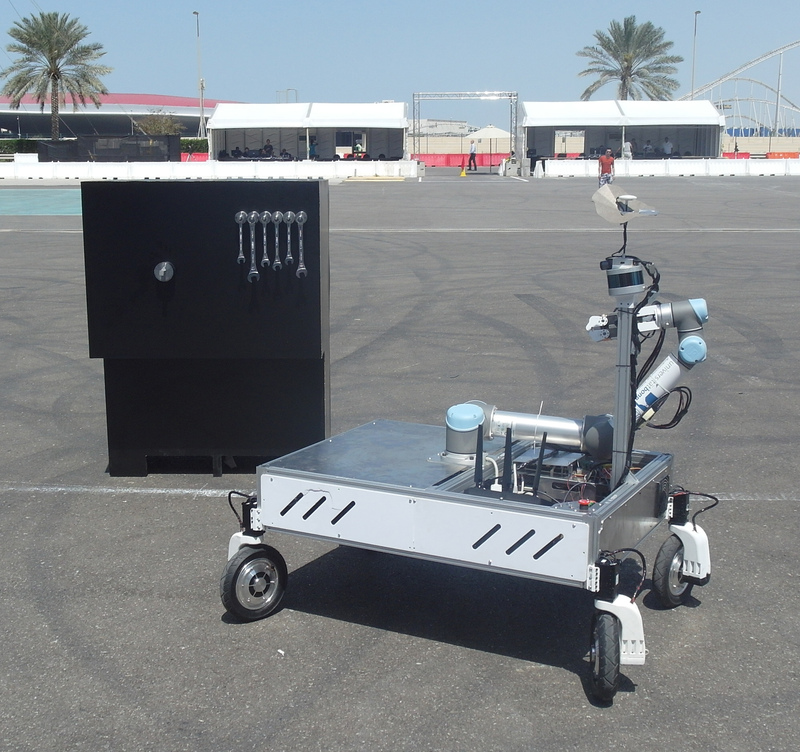 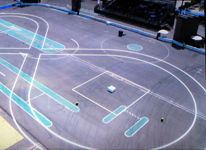 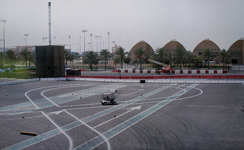 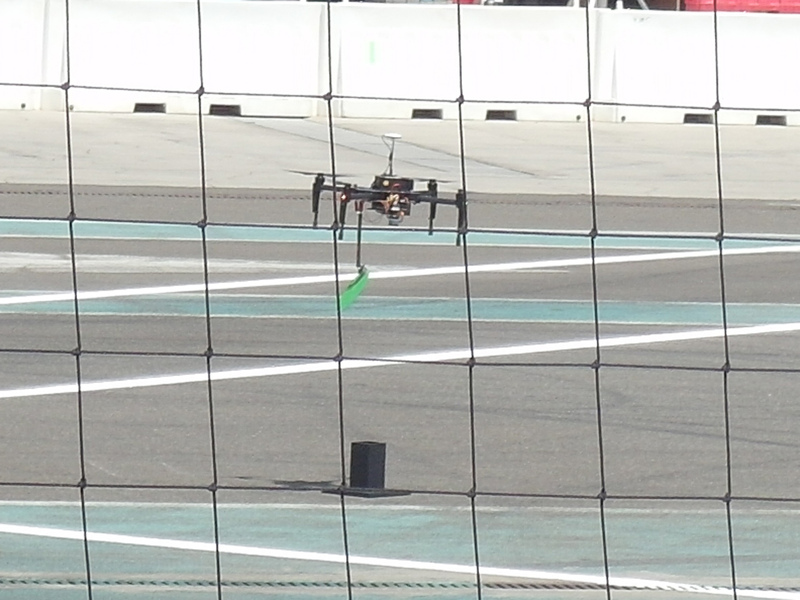 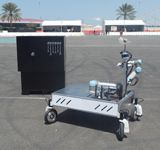 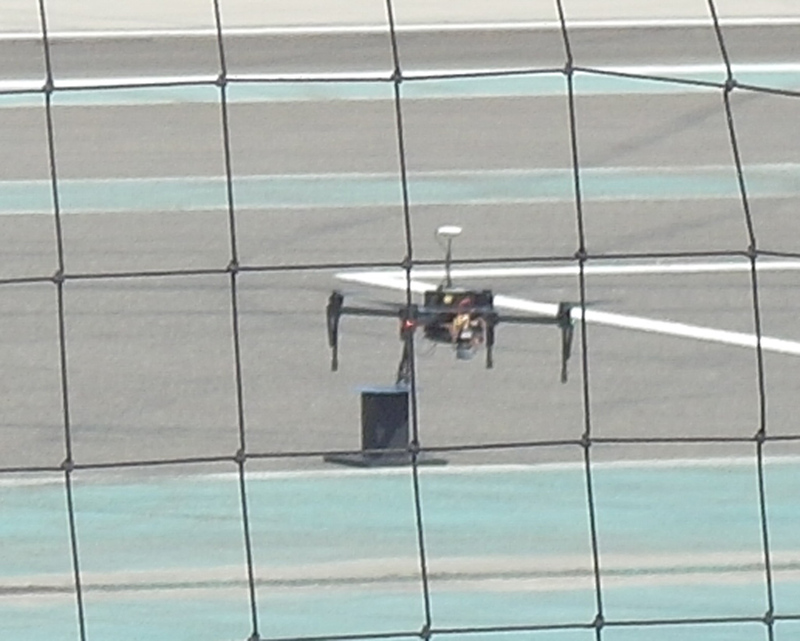 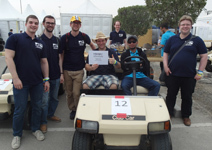 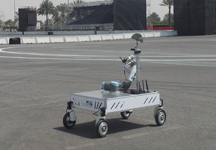 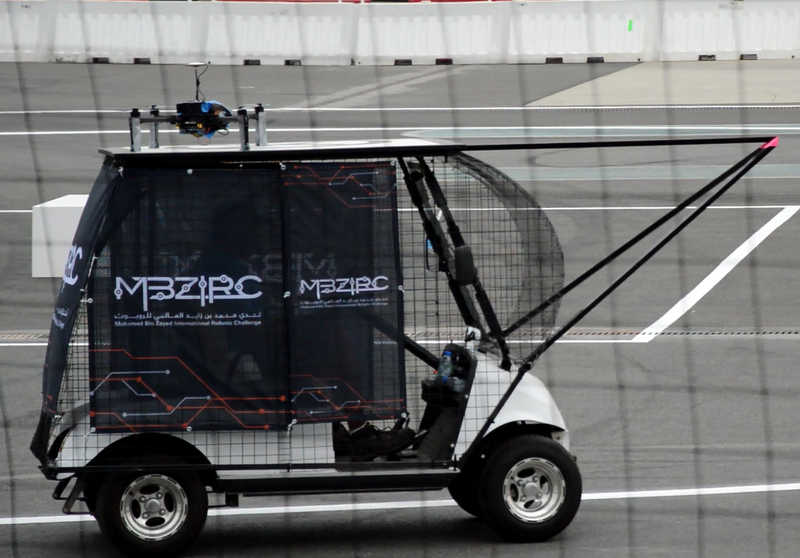 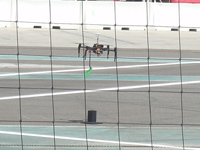 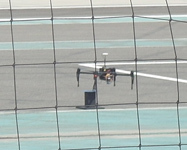 Our team arrived at the MBZIRC venue – Yas Marina Circuit in Abu Dhabi – and started robot asssembly.